Archer to move into processing? Archer Exploration (ASX:AXE) may have just opened up an additional revenue stream at its Campoona graphite project after a processing trial delivered graphene with a purity of more than 99.9%. It told the market this morning that it had received the results of a processing trial done with the University of Adelaide’s School of Chemical Engineering. Using a ‘direct liquid phase mechanical exfoliation method’, the university managed to process AXE’s graphite to a grade more than 99.9%. 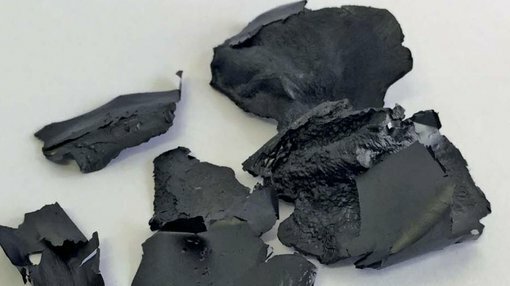 Better yet, it said, the graphene produced under the tests showed ‘outstanding electrical properties’, making the graphite suitable for end use in solar cells, photovoltaics, batteries, and sensors among other things. AXE now plans to work with the university next year on scaling up the process, but given studies underpinning the Campoona project had only envisioned mining, not processing, the result opens up a new ball game for AXE. “Any contribution from a new Campoona graphene production stream, which is by no means certain but does have emerging appeal, would be in addition to, not part of, the graphite profits from this Eyre Peninsula projects,” AXE managing director Gerard Anderson said. AXE also said the university’s processing method required fewer steps than compared with conventional production, potentially saving money down the road. AXE has been working with the University on a range of testing projects, the most recent of which confirmed graphite at its Sugarloaf project was more suited for agriculture than straight graphite mining. The University had been testing mineralisation at Sugarloaf, which was thought to be ‘immature’ in nature, not suitable for graphite mining. However, the mineralisation still contained useful minerals suitable as soil improvers. There’s still further testing to go from the University, but the latest round of results were enough for AXE to confirm that Sugarloaf will move to further soil conditioning and remediation focused testing. “The final Sugarloaf test results support the possible development of Sugarloaf as a low cost source of potentially high value soil improvement and soil remediation products,” Anderson said at the time. 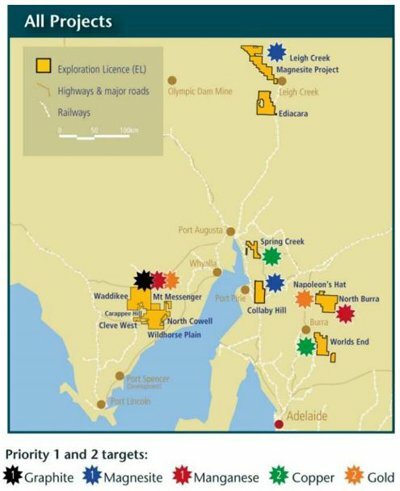 Archer Exploration has a string of resources projects based on the Eyre Peninsula in South Australia. Known predominantly as a graphite play, it has other projects on its plate including gold, magnesia, and copper. AXE currently has its foot on a resource of 8.55 million tonnes @ 9% graphite content for 770,800 tonnes of contained graphite – the biggest resource in Australia. Campoona is thought to be the most advanced graphite play for AXE, with plans for a 10,000 tonne per year processing centre at Sugarloaf on the cards. The plan is to mine for 14 years, but this doesn’t include any exploration upside.